We get it. As an entrepreneur, you don’t want to spend your all-too-limited time dealing with lawyers, especially when you’re just starting out. Law firms’ traditional billing practice sometimes leaves clients in the dark about how much a project will cost, and we believe you’ve got enough uncertainty when you’re starting a business. But we also know that setting up a business legally, with a business entity such as an LLC, getting an EIN, and registering for the Bend business license from the get-go saves time, money and stress. Today, EagerLaw PC is unveiling a new offering, LLC Bend. LLC Bend is a one-stop, fixed-fee legal service for business owners to get set up quickly and simply. Meet face-to-face with a Bend attorney who understands what it takes to get your business properly set up in our beautiful, entrepreneurial city. We’re offering a free consultation to business owners who don’t yet have a business entity in place. Click here to request a consultation. If you already have a legal business entity but know of someone who could benefit from LLC Bend, we would appreciate your referral. 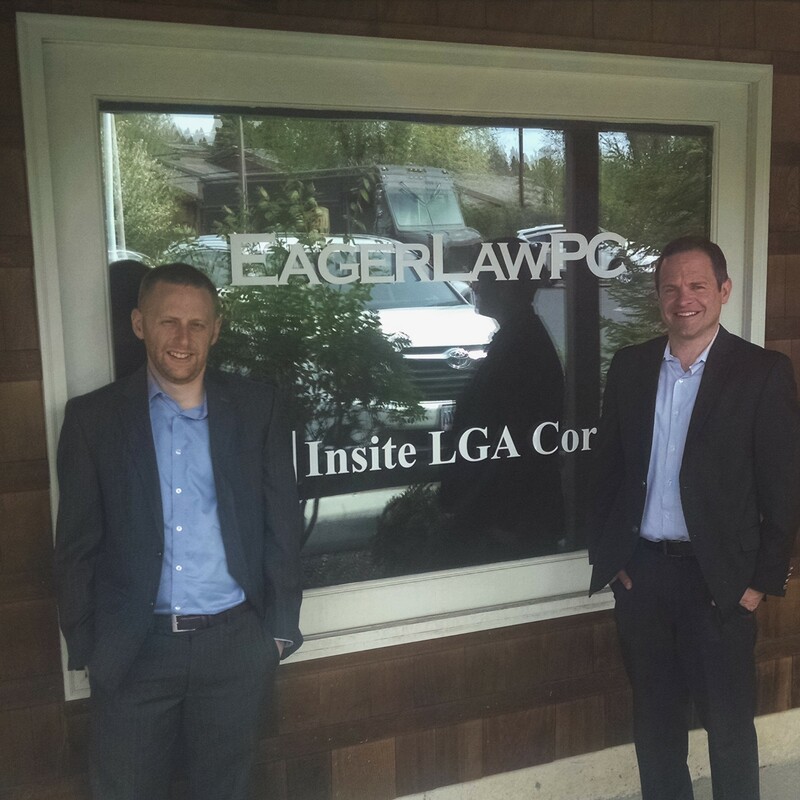 In addition to LLC Bend, EagerLaw PC continues to offer our full range of business law services, including buying and selling businesses and assets, real property, and employment law. I started EagerLaw PC to focus on serving Bend businesses and am committed to helping those who have taken on the risk of business ownership. For additional support, I brought on another attorney, Eric Taylor. Eric grew up around a small business, so he is uniquely qualified to appreciate the direct impact business issues have on families. He has diverse experience in both litigation and transactional work, including proven success at trial. His experience allows him to quickly and effectively spot potential legal issues and keep his clients away from legal headaches. Eric regularly represents clients in the formation and dissolution of business, choice of entity, employment agreements, severance and release agreements, real property transactions, commercial leases, contract disputes, and various other legal matters. Please join me in welcoming Eric to the team.